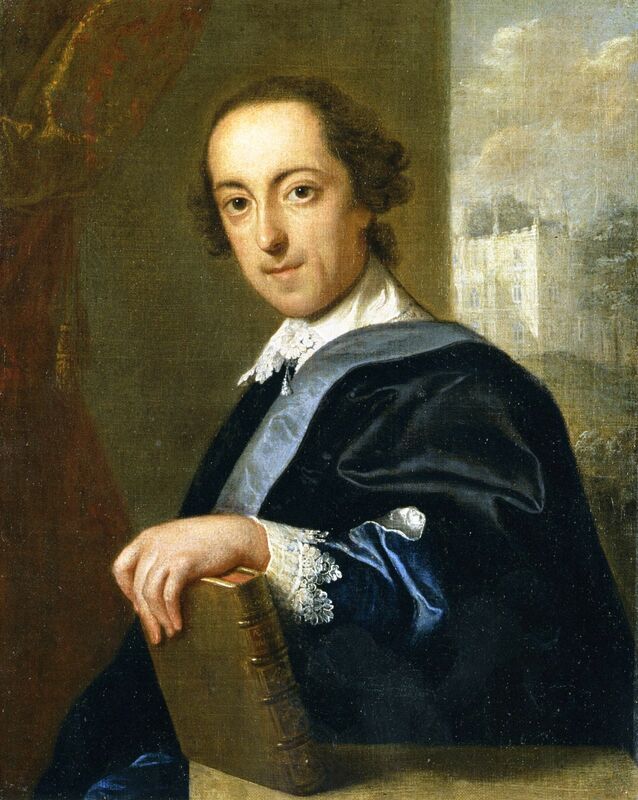 Horace Walpole (1717- 1794) is one of those people from whom a large collection of letters and other writings have thankfully stood the test of time. His most notable fictional endeavor is undoubtedly The Castle of Otranto, published in 1764, which is widely regarded as the foundational work of the Gothic genre. Aside from its literary value (derived not least from swooning women and collapsing architecture), the novel is interesting for the linguistic data it contains as well. In particular, a phenomenon that is hard to analyse due to its elusiveness is used in this work: zero relatives. Zero relatives are common in present-day usage as well. If you take the sentences I know the man that I saw, vs. I know the man I saw, both of them are acceptable, but the quotation in the title of this post probably strikes the reader as odd. We would expect a sentence like this to run ‘Tis thou who hast slain my son!. The difference is that thou also plays a role in the sentence as the subject of hast slain, and in standard English today, that is a position in which deletion is not possible. The two sentences that are put together are thus it is thou and thou hast slain my son. We only need one pronoun to identify the slayer, so one would be replaced with who. In the examples above, on the other hand, the two sentences combined are I know the man and I saw the man. In these sentences, the element occurring twice is in object position, which is why the relative pronoun may be deleted. I thought it might be interesting to look at who used this type of construction, to see if Walpole employed it to create idiolects for individual characters, or if he used it as an indicator of prestige. None of this proved to be the case. Manfred, the protagonist, is the prince of the Otranto estate, Matilda is his daughter, and Bianca is Manfred’s only son Conrad’s fiancée, who is crushed by a gargantuan helmet very shortly after being introduced. If they were the only ones using the construction, a case could be made for some social stratification. However, Jaquez, a servant of Manfred’s, also uses it, as does Theodore, who grew up a peasant. The only conclusion we could draw here is that the narrator never uses it, but this may only be due to the fact that the narrator of any tale is not likely to use zero relatives. Zero relatives may therefore well have been a feature of Walpole’s own idiolect, which happened to their appearance only in his characters. It is also possible that Walpole used zero relatives to give the novel a more realistic setting linguistically. In the preface to the first edition, Walpole claims that he merely translated an Italian manuscript, about which he says: “if the story was written near the time when it is supposed to have happened it must have been between 1095, the aera of the first crusade, and 1243, the date of the last, or not long afterwards” (p. 7). Apparently his attempt was highly successful, as the preface to the second edition (which was subtitled “A Gothic Story”) contains this apology: “… it is fit that [the author] should ask pardon of his readers for having offered his work to them under the borrowed personage of a translator” (p. 11). The Horace Walpole Correspondence Corpus is an excellent resource to test these hypotheses on. The problem is, however, that it is very hard to look for a feature that is not actually there. All of the instances I found in the novel start with it is or ’tis, so searching for that may help, but you could never be sure how much data would be overlooked. The body of text must be read completely to inventarise the occurrences, which is a much more pleasant affair with a novel than with reaves of letters written by a stranger to strangers, I would imagine. ’Tt is not me will do it. Walpole, H. The Castle of Otranto, in Four Gothic Novels. London: Oxford University Press, 1994.